A visit to Singapore is sure to leave you surprised the first time round. It’s one of the few countries in the world where you find a perfect balance between nature and modernity. The city also offers immense opportunities for entertainment, especially for children. There are several things to do in Singapore with kids that keep them thoroughly entertained. Singapore has numerous family-based attractions including zoos, theme parks, sunny beaches and botanical gardens. While some activities are meant for pure entertainment, there are others that teach the kids a thing or two while letting them enjoy all the while. 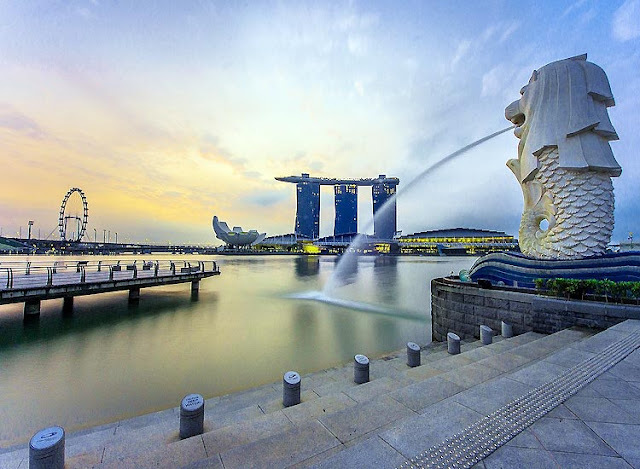 If you have not been to Singapore, or are looking to have a gala time with the top things to do in Singapore with kids, then this blog is for you. 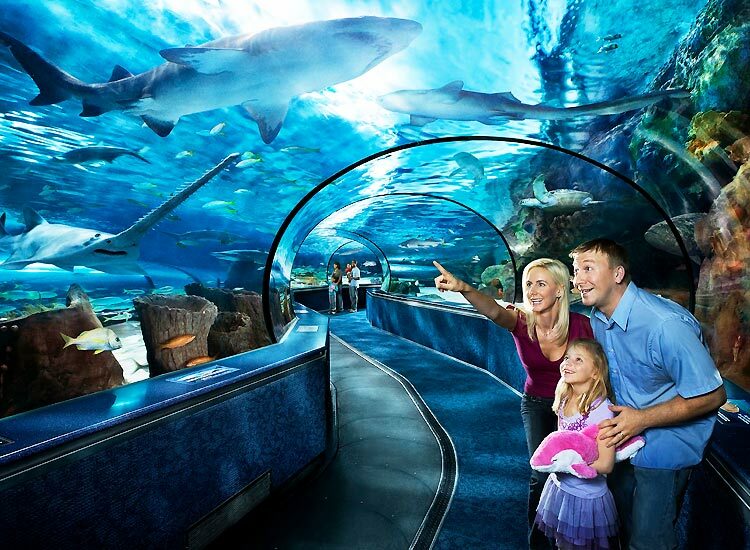 S.E.A Aquarium, on Sentosa Island, apart from being a topmost Singapore attraction, is one of the top places in Singapore to have a gala time with your kids. If you have always wanted to watch the marine life at close range, then this is the place to head to. The size of the aquarium will blow you away and the variety of marine life contained in it, ranging from stingrays to jellyfish, will leave you absolutely stunned. To enhance your experience, stay at the Ocean Suite room with underwater aquarium views. 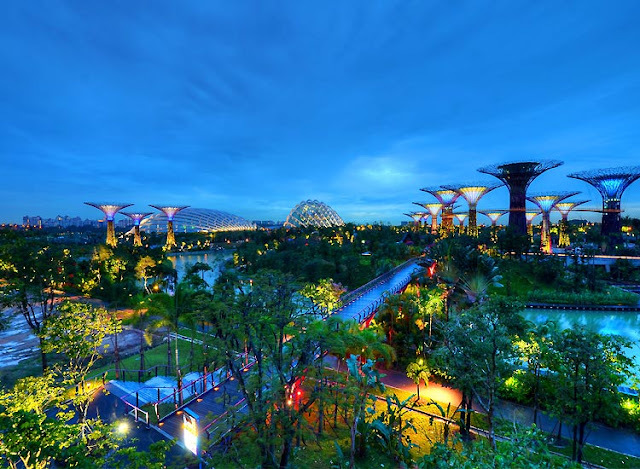 In the Gardens by the Bay is a fulfillment of Singapore’s vision of a “city in a garden”. It covers an enormous size – spanning across 101 hectares of reclaimed land. The Far East Organization’s Children’s Garden, with its interactive playgrounds and water gardens, is the place to head to with your kids. A kids’ favorite is the Cloud Forest which is covered in cool mist and contains the world’s largest indoor waterfall. A walk along the elevated boardwalk gives you splendid views of the Singapore Skyline, Singapore Flyer and Marina Bay Sands (all of them incredible pieces of architecture). One of the top things to do in Singapore with kids is enjoy the Marina Bay Sands Light and Water Show. 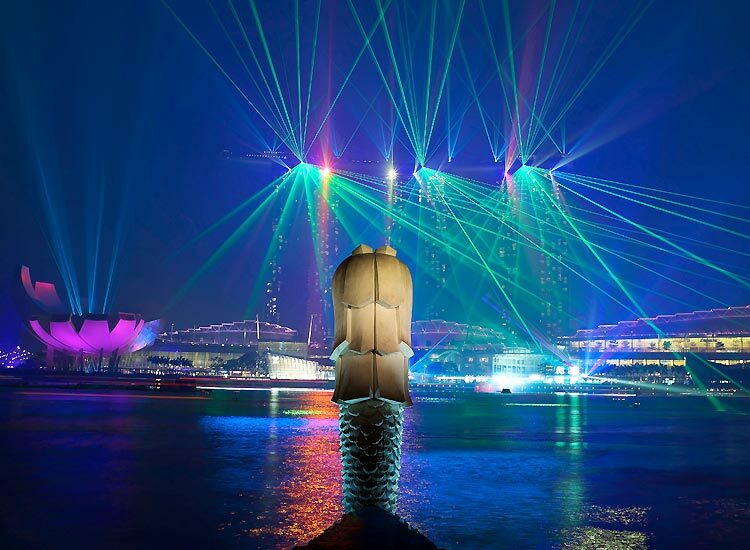 The Marine Bay Sands Light and Water show lasts around 15 minutes, and consists of colorful lights shooting up in the sky from the rooftop of the Marina Bay Sands. The lights are accompanied by lively music, making the entire show even more entertaining. With its dancing water fountains and colorful visual arts, this show draws crowds in large numbers. 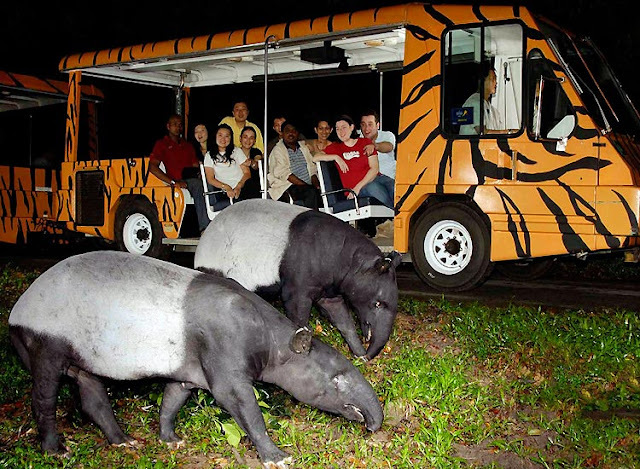 Take your kids for a Singapore night safari, your kids will thank you for it. The safari consists of a 40 minutes tram ride which lets you, and your kids, watch the wildlife and gain a better understanding of their habitat. A unique experience is experiential dining, which allows you to enjoy dining in close proximity to fire-eating tribal dancers or dine abroad a tram which traverses the park. Water parks are always enjoyed by both kids and adults alike, and Adventure Cove Water Park is no exception. Whether it’s dashing down the water slides, swimming in the wave pool or taking on the challenge of high-ropes course and maze, it’s all about fun, adventure and excitement. 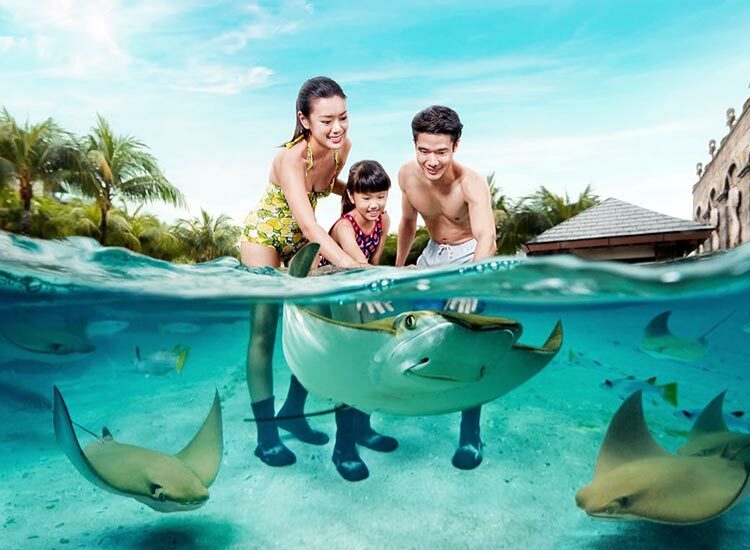 An added attraction is the snorkeling experience provide by the park. 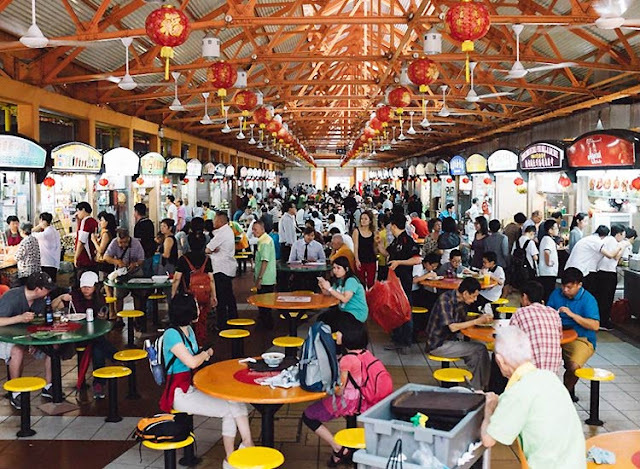 If, after all the fun things to do in Singapore with kids leaves you hungry, head to the Hawker’s Stalls for some cheap and tasty local food. The best part is that, you will find a hawker center at every shopping center and community. Some of the popular ones are Gluttons Bay (on Marina Bay), Satay by the Bay (Gardens by the Bay) and Chinatown’s Maxwell Food Centre, among others. Taking a Duck tour is fun because of the excellent sightseeing it provides, and the added commentary teaches you a lot about the history and culture of Singapore. The Duck tour, which lasts about an hour and takes you on the waters of Marina Bay after passing the Singapore Flyer, Gardens by the Bay, Merlion Statue and Marina Bay Sands. You are also taken through the picturesque old colonial area, which is home to beautiful pieces of architecture. Museums are always great places for visiting with kids, and the Art Science Museum is no exception. Its architecture (the building resembles an outstretched hand or a bunch of bananas) itself is quite interesting. The entire building, like so many others in Singapore, has been built in an eco-friendly manner. There are several theme or idea based galleries. The multimedia room inside the museum focusses on important discoveries like Leonardo Da Vinci’s Flying Machine. You also find artefacts from Titanic, Harry Potter film sets and other such curious items. 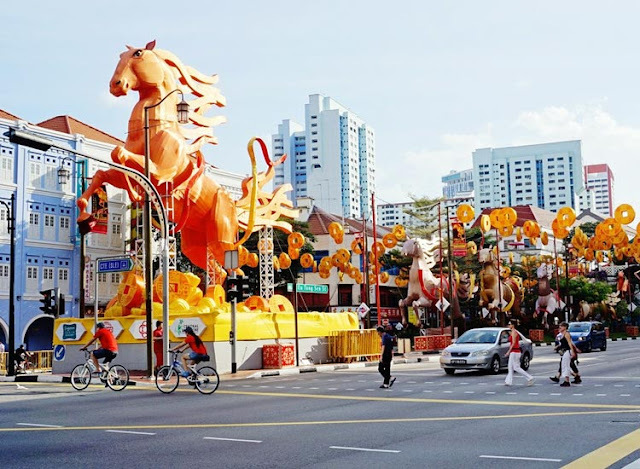 Exploring Chinatown is one of the best things to do in Singapore with kids. It has a happening vibe and is a great place to just hang out, engage in some shopping and enjoy the delicious food. Walking and exploring the markets is really fun and convenient here, because there are pedestrian-only streets available. As much as it is crowded and bustles with activity, Chinatown is also quite clean and beautiful. 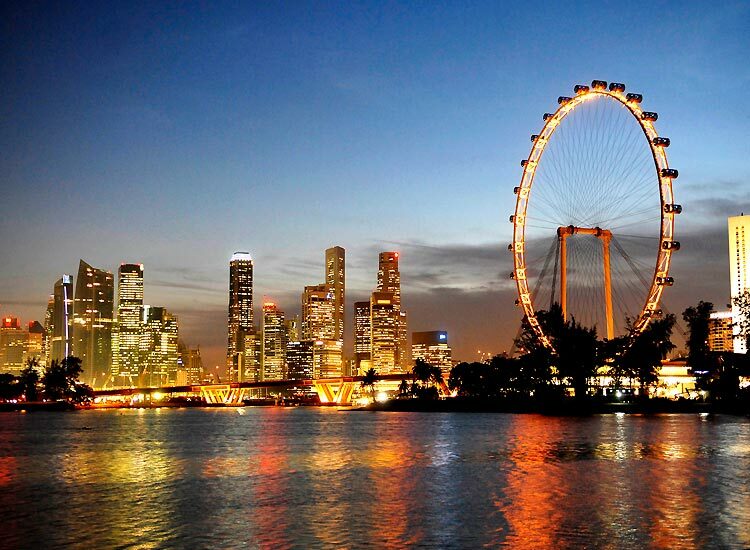 Singapore Flyer is a noticeable presence in Singapore’s skyline. It is Asia’s largest observation wheel, and takes you almost 165 meters above the ground. 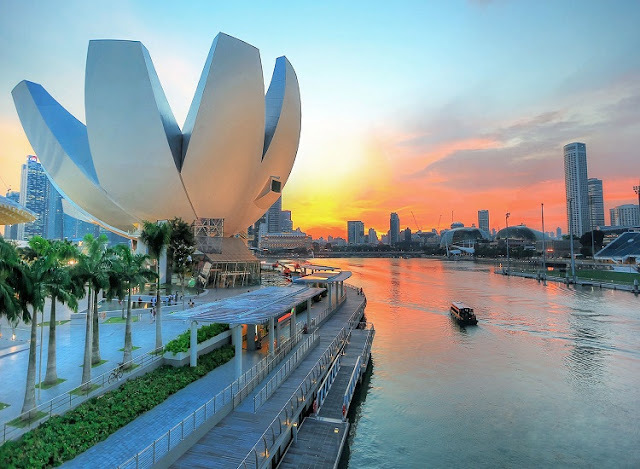 From one of the 28 air-conditioned glass capsules, you are provided magnificent views of historical landmarks like the Marina Bay, Singapore River, Raffles Place and Padang. It’s interesting to know that the Singapore Flyer featured in the reality TV show, The Amazing Race in 2010, as well as The Amazing Race Australia in 2011. Why is tour to Goa so Popular among tourists?